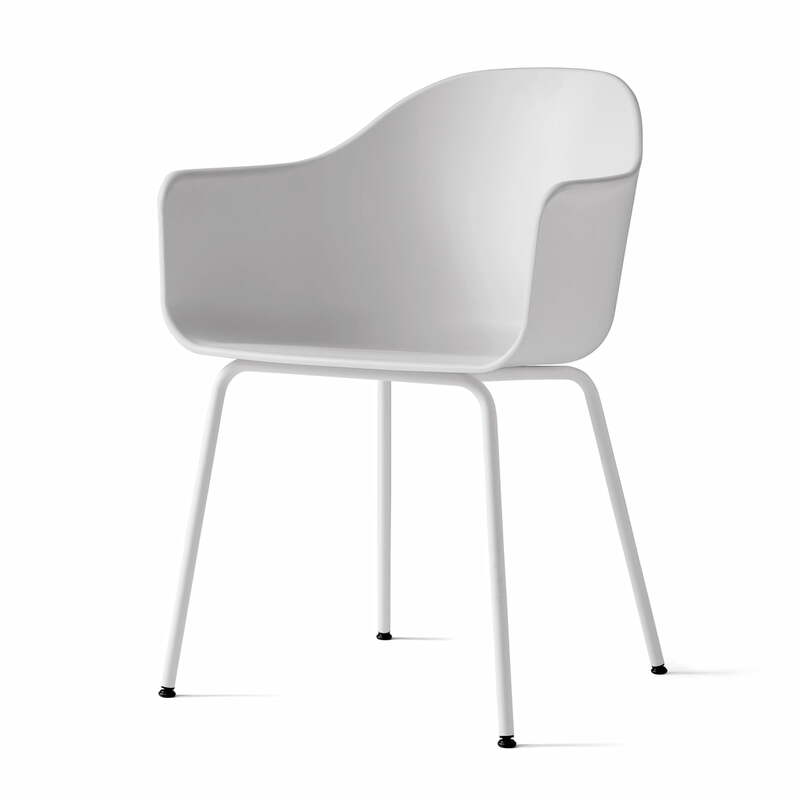 The Harbour Chair by Menu was designed by Norm Architects and is characterised above all by its comfortable versatility. It was designed for Menu Space in Copenhagen, a hybrid room that combines showroom, office and café in one. The Harbour Chair is tailored to all of these needs and is also ideal for the private home. The chair consists of a seat shell made of polypropylene reinforced by fiberglass and a four-legged powder-coated steel frame. The seat shell and frame are colour-coordinated, resulting in a perfectly balanced chair together with the geometric and organic shapes. The high backrest ensures maximum comfort. The chair is available in various colours as well as with legs made of wood. The Harbour Chair (Steel) by Menu in light grey: The Harbour Chair by Menu was designed by Norm Architects and is characterised above all by its comfortable versatility. 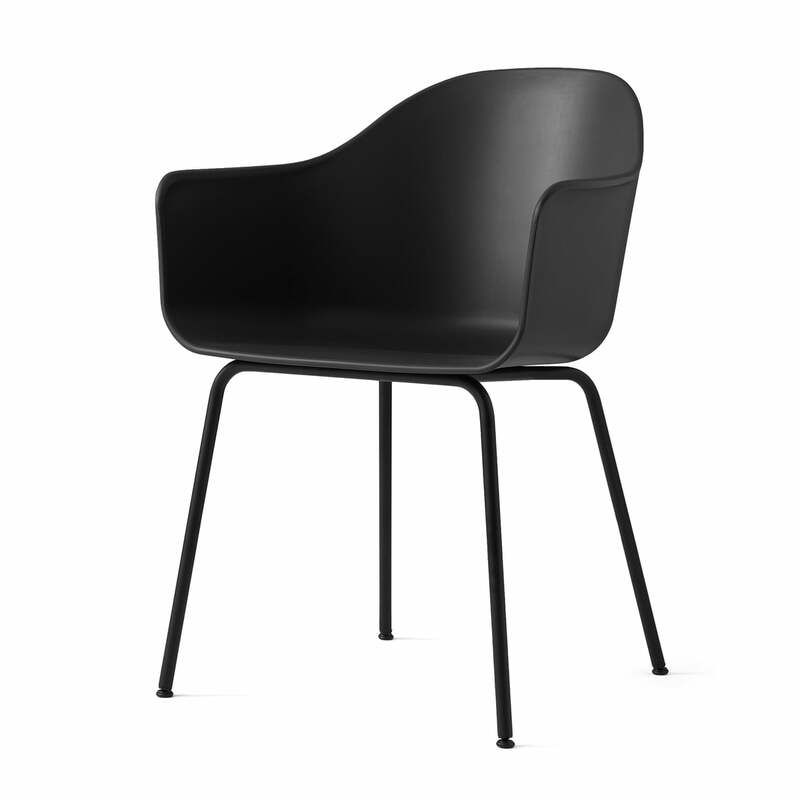 Individual product image of the Harbour Chair by Menu. 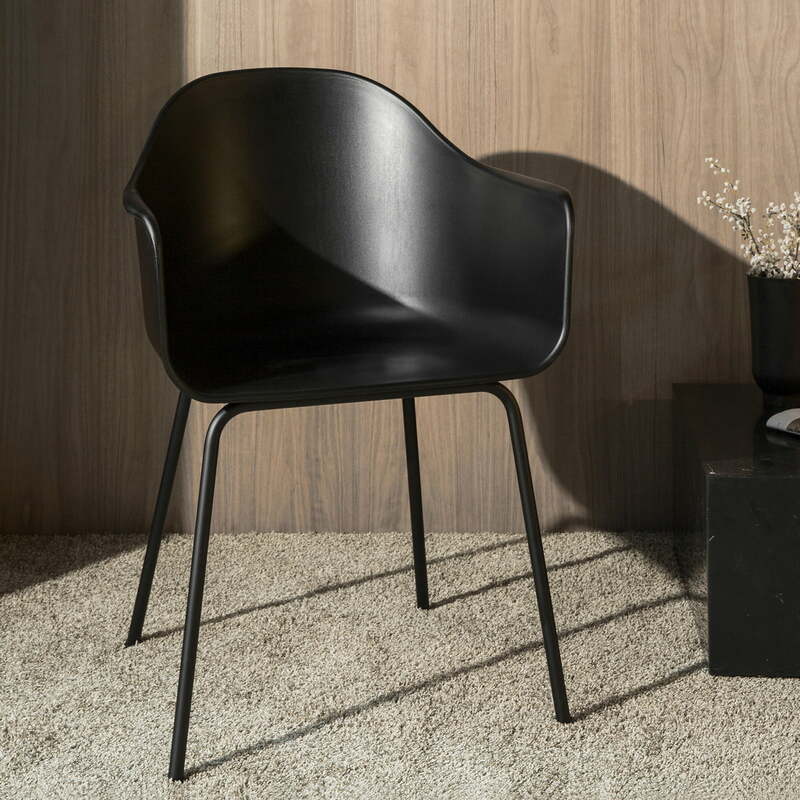 The chair consists of a seat shell made of polypropylene reinforced by fiberglass and a four-legged powder-coated steel frame. 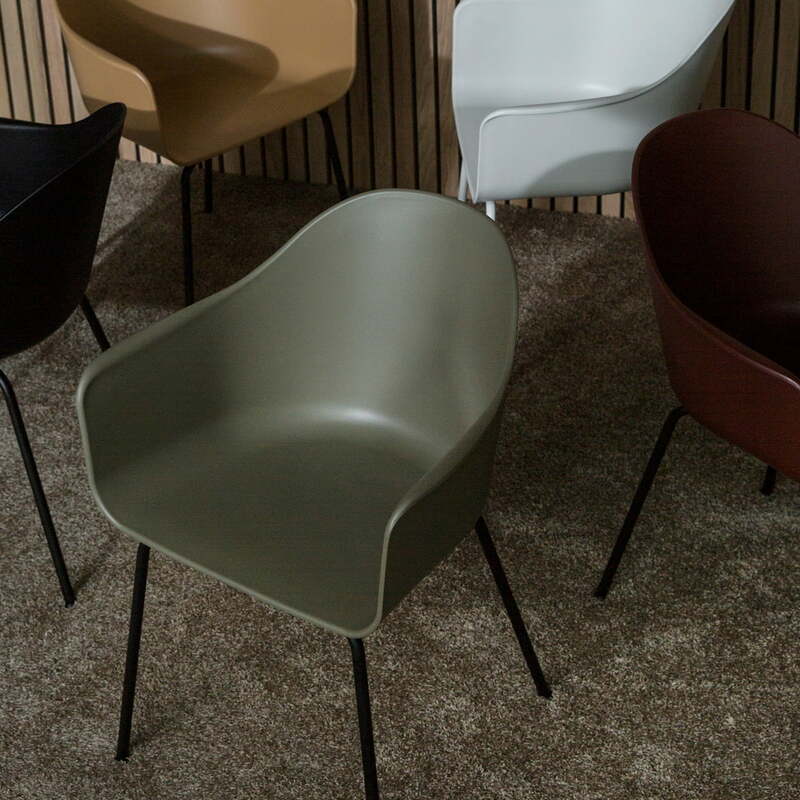 Lifestyle product image of the Harbour Chair by Menu. 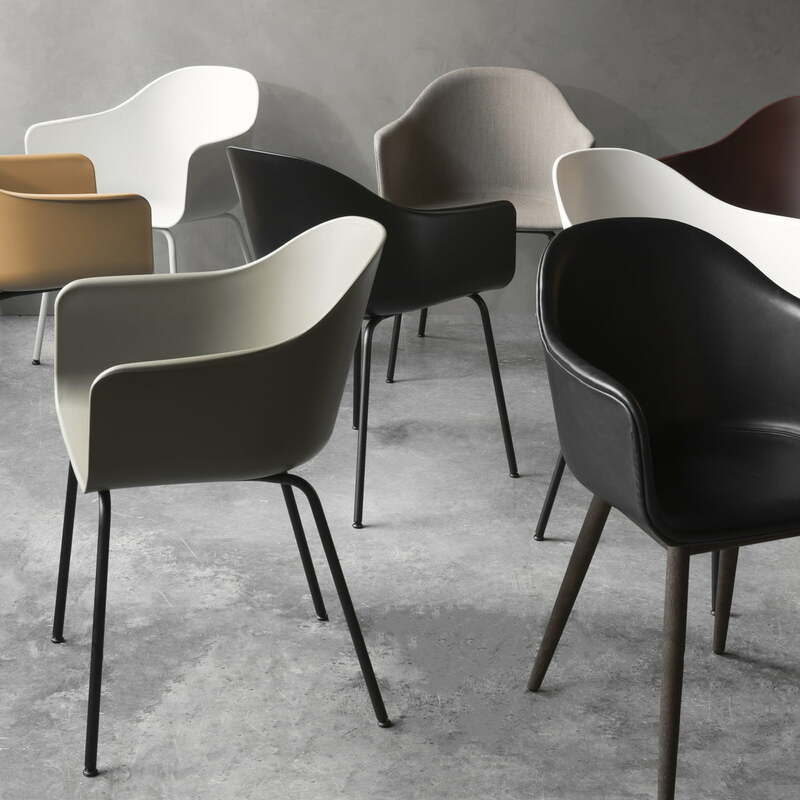 The chair is available in various colours, with different upholstery as well as with legs made of wood. 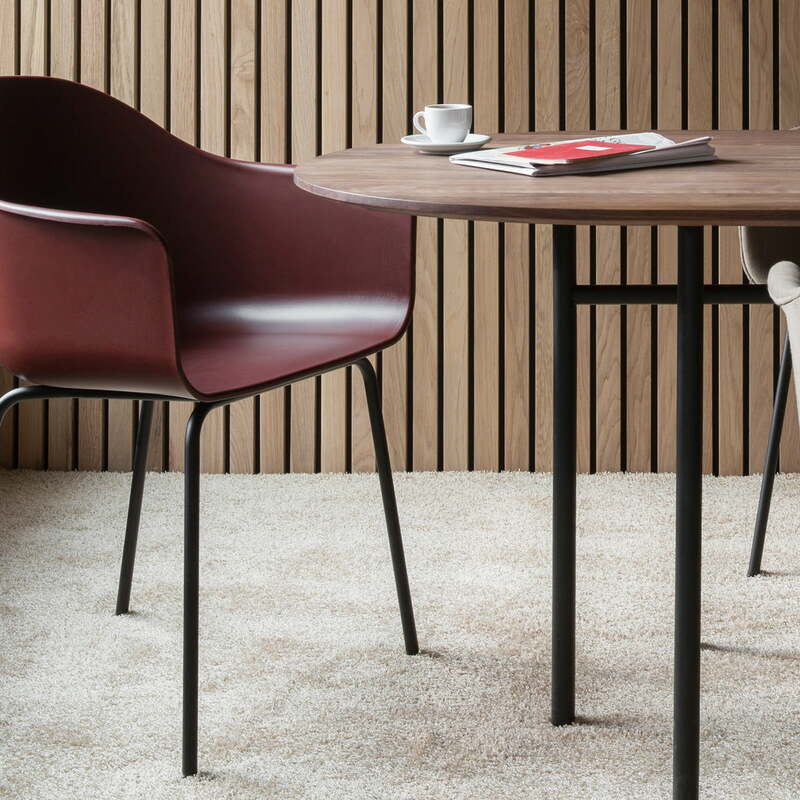 The Harbour Chair by Menu: The seat shell and frame are colour-coordinated , resulting in a perfectly balanced chair together with the geometric and organic shapes.